We got hit with a huge snow storm this weekend, and in honor of the four feet we got, I decided to paint my nails Opi Alpine Snow. This is one of my favorite polishes of all time. 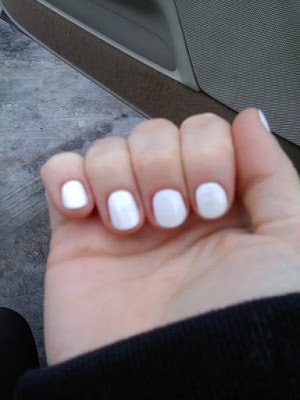 There's something about stark white nails that feels so chic to me! I love wearing this color, but not by itself, I am not brave enough!